Republican or Democrat, there's probably no one person more formidable in a foreign policy debate in the 2016 election than Hillary Clinton. So poor Bernie Sanders, who, for the second time, had to face Clinton mano a mano on foreign policy for chunks for the sixth Democratic matchup on Thursday night. And Bernie Sanders' weaknesses on foreign policy were evident in the Democratic debate as he pitted his pie-in-the-sky ideas against Clinton's hawkish stances. 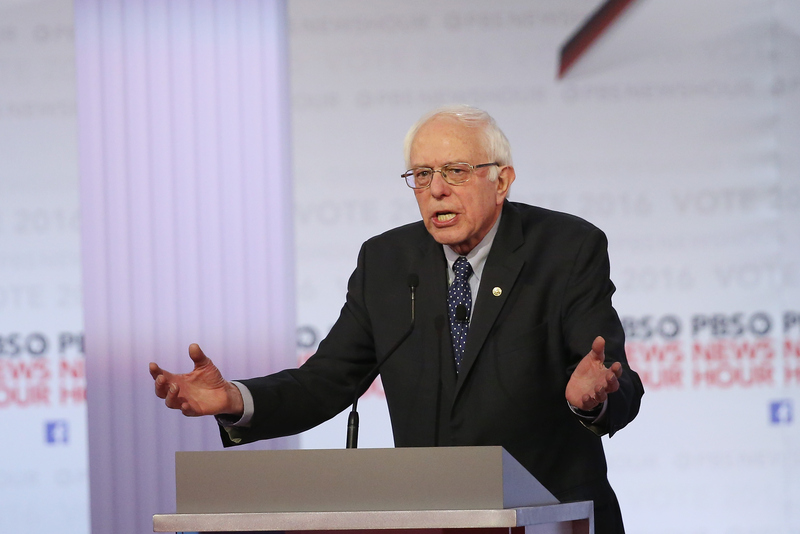 Sanders has been very clear about a few things in his foreign policy agenda. Chiefly, he voted against the war in Iraq. The second thing is that he doesn't believe in toppling foreign governments without a firm plan in place. He trotted out both of those, delivering a very quotable line on the latter: "The point about foreign policy is not just to know that you can overthrow a terrible dictator, it's to understand what happens the day after." Yeah, that's all well and good, but what is the plan for the day after? That's where Sanders' message continues to be weak, whereas Clinton can deliver specific answers. And the scariest thing to the Sanders campaign is that Clinton totally agrees, but she's prepared to offer up the details. Sanders went on Thursday night about Iran's Mohammed Mossadegh and, in an example not from the 1950s, Syria's Bashar al-Assad, and how the United States had the political power to overthrow the Middle Eastern leaders. The problem is, beyond cautioning that we shouldn't go in without a plan, Sanders didn't have an actual plan for the aftermath. Clinton, meanwhile, went into specific plans for her foreign policy agenda, which included American air campaigns and supporting Arabs and Kurdish troops on the ground. Sanders only managed to counter with his vote against the Iraq war, one of his favorite things to dangle over Clinton's head. As Clinton aptly noted that the vote, more than a decade old, "isn’t a plan in 2016" to defeat ISIS. Zing! The most spirited policy debate of the evening was more of a history lesson. Sanders went after Clinton hard over her apparent influence from Henry Kissinger, the secretary of state under Richard Nixon and Gerald Ford. Although Sanders used powerful words to describe Kissinger as one of the most diabolical figures in American foreign policy, that point was probably largely lost on his much younger audience. Maybe he should have told everyone to look it up on Wikipedia. Meanwhile, Clinton countered with doubt about who Sanders was even listening to on foreign policy at all. If Sanders doesn't beef up on foreign policy, it'll become even more apparent that Clinton can outstrip him to an almost embarrassing level on the subject. And as she continues to link herself to Sanders on the positives, it'll become increasingly apparent that his lack of substance on foreign policy is a definite negative.